Can ugly scars be beautiful? A little boy invited his mother to attend his elementary school's first teacher-parent conference. To the little boy's dismay, she said she would go. This would be the first time that his classmates and teacher met his mother and he was embarrassed by her appearance. Although she was a beautiful woman, there was a severe scar that covered nearly the entire right side of her face. The boy never wanted to talk about why or how she got the scar. At the conference, the people were impressed by the kindness and natural beauty of his mother despite the scar, but the little boy was still embarrassed and hid himself from everyone. He did, however, get within earshot of a conversation between his mother and his teacher, and heard them speaking. "How did you get the scar on your face?" the teacher asked. The mother replied, "When my son was a baby, he was in a room that caught on fire. Everyone was too afraid to go in because the fire was out of control, so I went in. As I was running toward his crib, I saw a beam coming down and I placed myself over him trying to shield him. I was knocked unconscious but fortunately, a fireman came in and saved both of us." She touched the burned side of her face. "This scar will be permanent, but to this day, I have never regretted doing what I did." At this point, the little boy came out running towards his mother with tears in his eyes. He hugged her and felt an overwhelming sense of the sacrifice that his mother had made for him. He held her hand tightly for the rest of the day. In a similar manner, Jesus Christ bears a scar — many scars, in fact. There are those who find that somewhat embarrassing — "You mean to tell me you worship a man who was crucified?" However, realizing that his ugly scars are the result of his efforts to save me, they suddenly take on a special beauty. 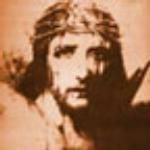 In a similar manner, Jesus Christ bears a scar — many scars, in fact. Those scars led Thomas to say, "My Lord and my God!" (John 20:28) They lead me to say the same thing. I'm so thankful that something so ugly and horrible has taken on such beauty, because of the great love that Jesus Christ had for me. "Beautiful Scars" by Alan Smith is licensed under a Creative Commons License. Heartlight encourages you to share this material with others in church bulletins, personal emails, and other non-commercial uses. Please see our Usage Guidelines for more information.